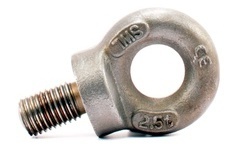 Eyebolts or lifting eyes as they are otherwise known are a very commonly used rigging supply or lifting component. Chain and Rope Suppliers stock a wide selection of lifting eyes or eyebolts including galvanised eyebolts zinc plated eyebolts, self-coloured eyebolts and stainless steel eyebolts. Our eyebolts are available in metric and imperial thread. 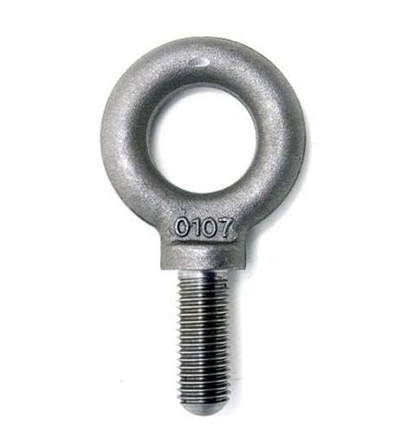 Most common is our metric thread range of collared eyebolts to BS 4278 Part 1 1984. These are all available fully tested and certified with a vertical safe working load (S.W.L) of 0.1T, 0.15T, 0.33T, 0.4T, 0.8T, 1T, 1.6T, 2.5T, 4T, 5T, 6.3T, 8T, 10T and 12.5T. 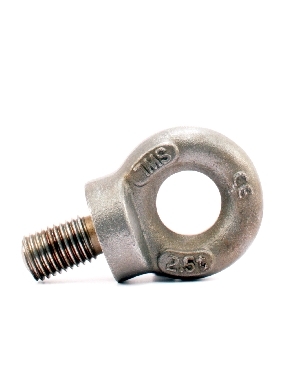 Chain and Rope Suppliers collared eyebolts are available in the following threads M6, M8, M10, M12, M16, M18, M20, M22, M24, M30, M33, M36, M39, M42, M45, M48, and M52 thread. 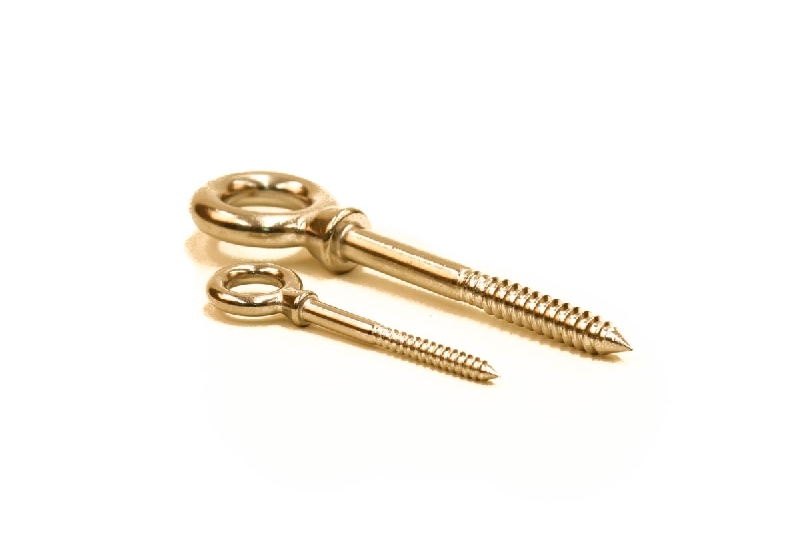 Collared eyebolts or lifting eyes are available with various length shanks, Chain and Rope Suppliers stock both long shank eyebolts and short shank eyebolts. Often machinery to be hoisted or lifted will have anchor points, lifting points, hoisting points or rigging points. 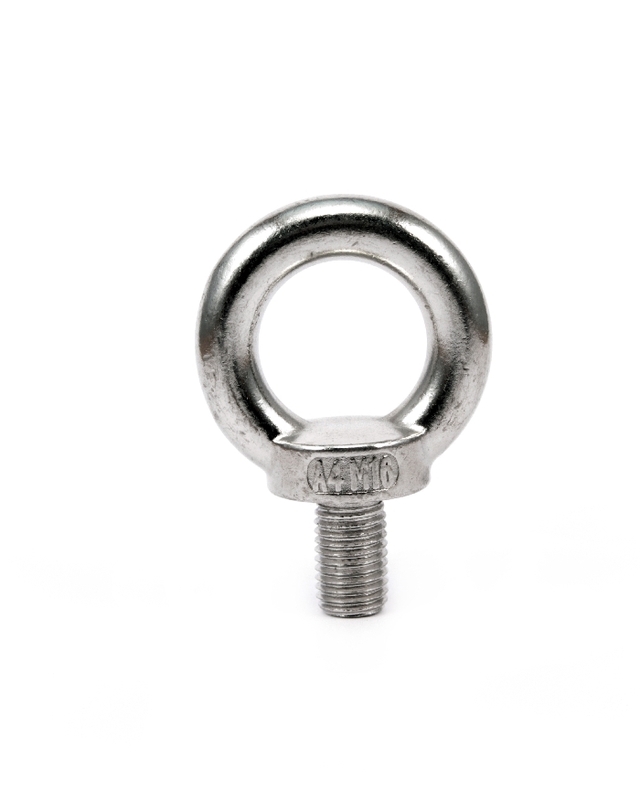 These points are generally a metric threaded hole which our collared eyebolts thread into to provide a connection point for the hoist equipment being used in the rigging operation. Eyebolts are designed specifically for a straight pull. 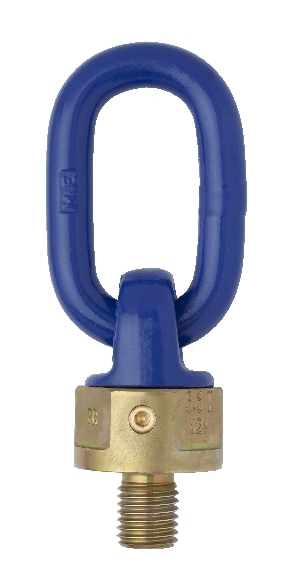 The safe working load (S.W.L) of a collared eyebolt is greatly reduced if the pull is not in a straight line. 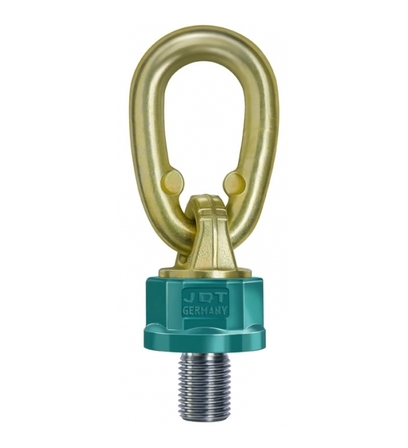 The purpose of the collar on a collared eyebolt is that the eyebolt is tightened so the collar sits tight against the surface of the anchor point this also greatly affects the safe working load (S.W.L) of the eyebolt. 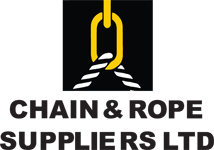 For more information on Chain and Rope Suppliers collared eyebolts contact us using our contact form or call us on 00353 1 457 0021. We will be happy to talk with you.